While adding to your team is exciting, over time, the interview process can begin to feel like a chore. 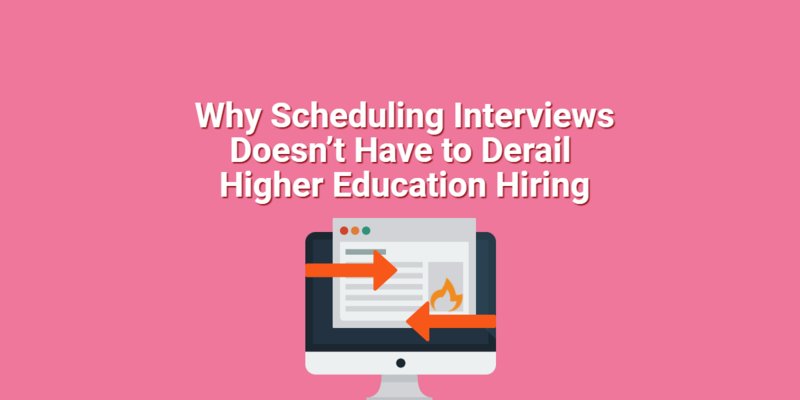 Between filtering through resumes and trying to factor in time to meet with candidates and deliberate with your team, it’s a high-stress process. However, infusing energy back into interviewing positively impacts both hiring managers and candidates alike. When hiring managers are excited to interview, they ask carefully crafted questions that lead to more effective acquisitions. When candidates are conversing with enthusiastic hiring managers, this energy becomes contagious. Suddenly, these potential employees feel more inclined to show their true personalities. Looking to discover your own renewed sense of energy about the hiring process? 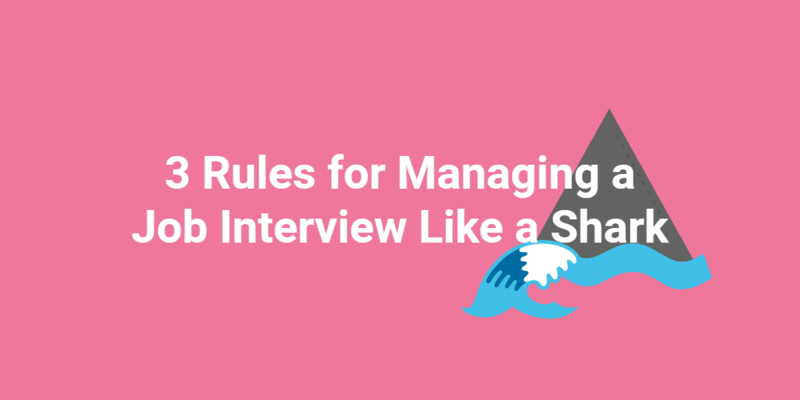 We asked industry leaders for tips on how they make interviewing feel fresh once again. 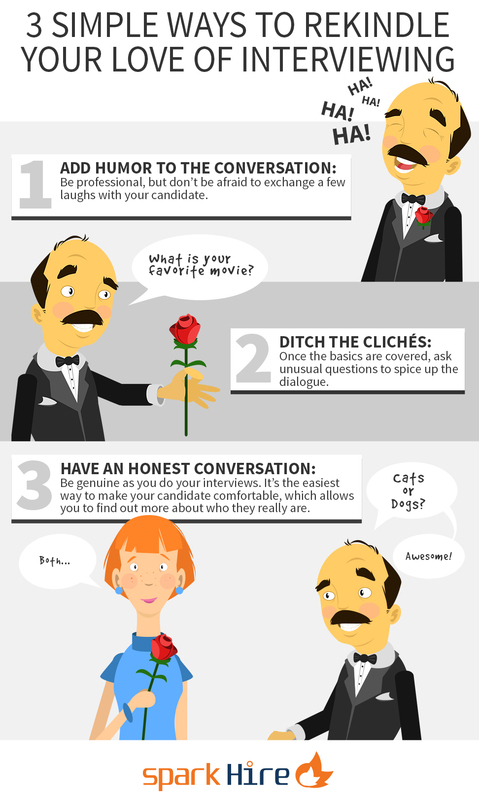 Instead of hitting candidates rapid fire-style with a list of impersonal questions that could be torn from an “Interviewing 101” handbook, focus on having an honest dialogue with the person sitting across from you. Find out who they are as a professional and as a person. When you transform someone into more than just their resume and cover letter, the process becomes increasingly interesting for everyone involved. You also get a better sense of what this individual might actually be like, should they join your team. Anyone can throw buzzwords onto a resume and call it a day. Hearing a person talk honestly about what matters to them gives you insight into what they would be like as an employee. Additionally, the body language that accompanies this kind of discussion can clue you in on how this individual might blend with the rest of your team in a way that a resume simply can’t express. It’s easy to feel restricted by a list of questions you feel obligated to ask. Cover the basics, but then don’t be afraid to branch out. Find out how this candidate spends their spare time. What’s on their bucket list? What’s a skill they’d like to learn this year? Ask unusual questions to get this person thinking differently. In many instances, these questions will tell you much more about the individual than the standard “where do you see yourself in five years?” prompt. Don’t be afraid to add humor to the process. Though it is a job interview, ultimately you’re two humans talking. The dialogue shouldn’t feel robotic or stiff. People are much more likely to open up to someone when they feel comfortable, and sharing a few laughs is a great way to make that happen. Keeping the interview process authentic and human is an essential part of preventing it from becoming a drain on both your hiring managers and your candidates. Approach the process like a dialogue between two people interested in working together to accomplish professional goals — you’ll find that the conversation is much more informative than when you work off a sheet filled with standard, dry interview questions. What are some other ways to reignite your love of interviewing? Let us know in the comments.